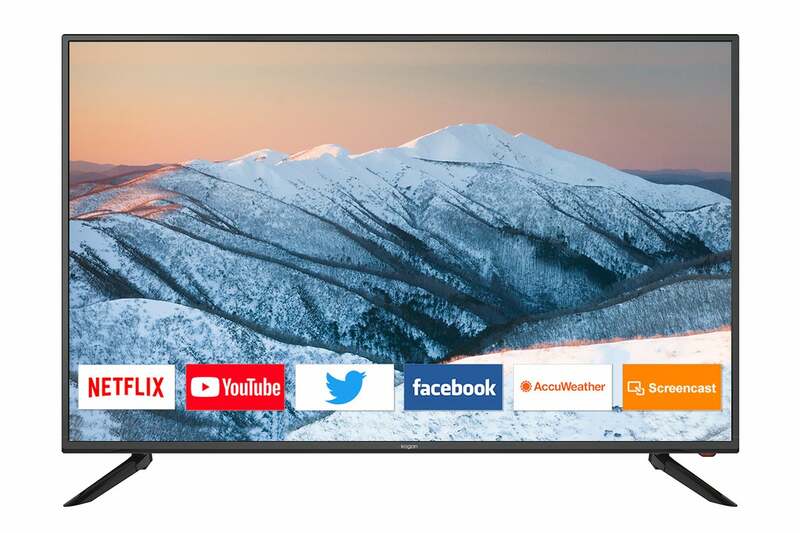 An astonishingly vivid viewing experience awaits on this elegant 55” Smart TV, featuring true-to-reality 4K picture on a sublime Samsung Panel with enhanced HDR support and dedicated buttons for Netflix and Youtube. 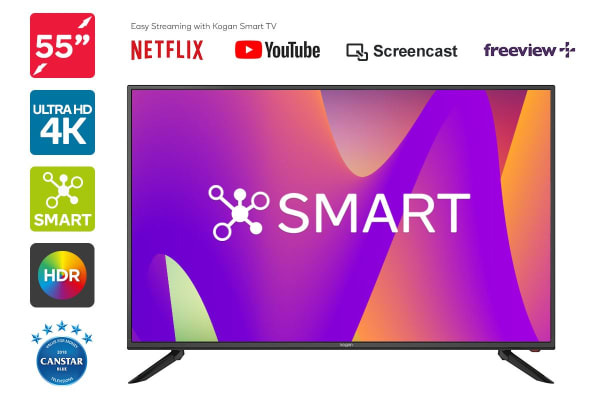 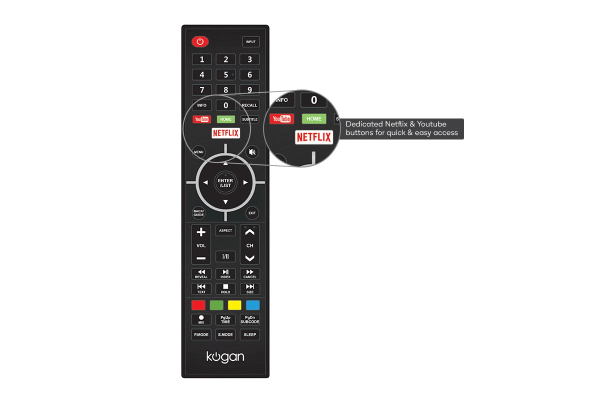 Dive into Netflix and YouTube at a touch of a button, and access other streaming services when you mirror from your compatible Android smartphone or Windows 10 device on this impressive Kogan 55” Smart HDR 4K LED TV (Series 8 MU8010). 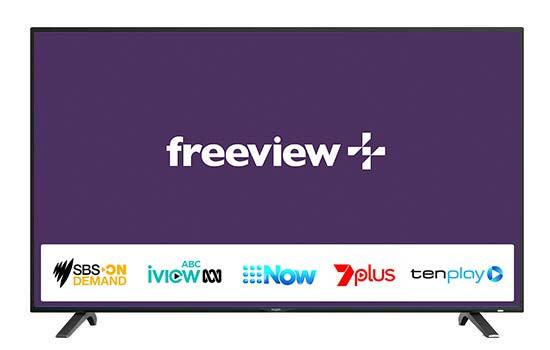 Catching up is as easy as going into the Freeview Plus program guide to find available shows, or selecting from any of the available network services, including SBS On Demand, ABC iview, 7plus, 9Now and tenplay. 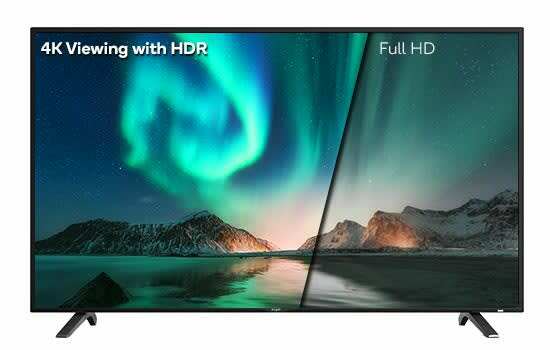 Delivering 4x the resolution of Full HD and HDR support for an expanded range of contrast to show every subtle nuance and hue in colour, this stunning 55” TV offers cinema-grade visuals for a smarter, more seamless 4K Ultra HD viewing experience. 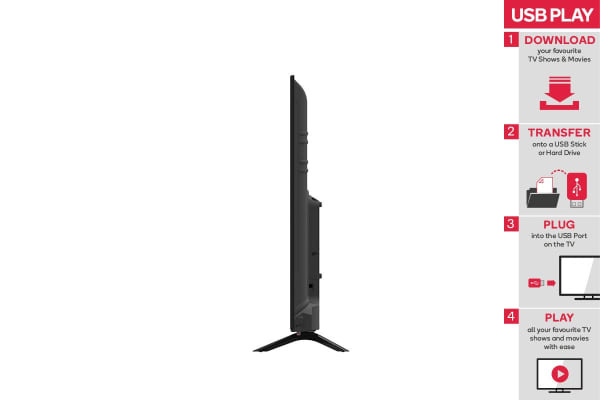 With the built-in Wi-Fi or Lan you can access the internet and enjoy your favourite gaming consoles and files using the HDMI and USB ports, and support for VGA and AV inputs on legacy devices.